The US100, also known as the NASDAQ-100 Index (NDX), represents the performance of 100 equity securities issued by the leading non-financial securities actively traded on the NASDAQ Stock Market. The index is calculated according to a capitalisation-weighted method. It includes both the domestic and foreign securities of leading companies in a variety of industry sectors: IT, telecommunications, retail, biotechnology, media, etc. Because of this it is often called the US Tech 100, however in recent years the index has been diversified, although tech companies remain heavily featured. What’s the history behind the index? In January 1985, the NASDAQ-100 was one of two indices introduced by the NASDAQ, the other – the NASDAQ Financial 100 – was made up of banking companies, insurances firms and other financial services providers. In the late 1990s, the index created an exchange traded fund (ETF) based on the S&P 500’s ETF model. In 1999, this was released as the QQQ, later known as PowerShares QQQ (2007). Initially, the index held a per-share net asset value of $100, however by the end of the day at market closing it had accumulated over $15 million. This amount continued to rise and soon surpassed the $1 and $2 billion marks (April and August 2000). As of 2015, the index boasted 46 exchange traded products (ETPs) accounting for $50 billion in assets on the index. Heavily influenced by technology and political events. Over the course of its history, the index has experienced significant ups and downs. One of the highest peaks of the index occurred during the DomCom Bubble in 2000, which saw it hit the 4,700 level. 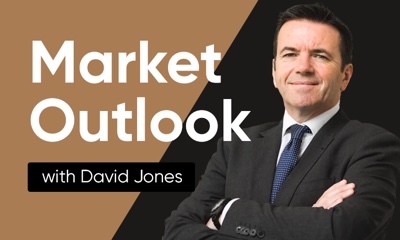 Recent lows include the recession in the American economy of the early and late 2000s, the effects of the attacks on the twin towers on 11 September 2001 and the ensuing war in Afghanistan, causing the index to take a dive below 900 points. How is the index calculated and what are the requirements? Based on a modified capitalisation-weight calculation methodology, the NASDAQ-100’s composition is calculated on a quarterly basis using pre-established distribution requirements, if this is not achieved then a proprietary algorithm is used. 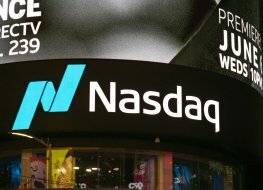 NASDAQ states that the index is unique in this respect and membership is acquired not by the decisions of a board of experts but by market cap rankings, meaning investors determine membership. Explore the ups and downs of the US100 share price with Capital.com. Open the platform to learn the latest NDX chart price movements. Why is NASDAQ 100 important to traders? Trade NASDAQ 100 CFDs, other major indices, forex, shares, cryptocurrencies and commodities through Capital.com’s award-winning platform. No commission. FCA and CySEC regulated. Up to 1:200 leverage (professionals only). Available on web and mobile. AI technology. Trade now.